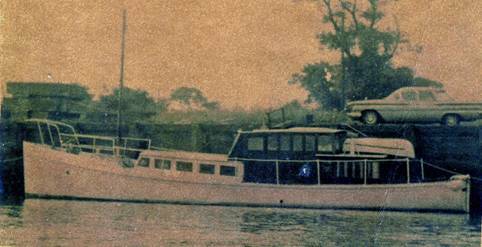 Good evening, i'm very new to this type of thing but i need some help, I'm trying to locate a 56' naval pinnace, last known name in 1970 was WINIFRED MERLE, sold from the isle of wight, i have lots of her very chequered history but i desperatly want to find her now, or at least know what happened to her. I AM TRYING TO TRACE A 56FT EX-NAVAL PINNACE NAMED THE WINIFRED MERLE. HER LAST KNOWN BERTH WAS ON THE ISLE OF WIGHT DURING THE 1970’s. THIS IS A JOURNEY BACK INTO MY OWN PAST & IS PURELY A PERSONAL QUEST. ALL INFORMATION PROVIDED WILL BE TREATED IN THE STRICTEST CONFIDENCE. PLEASE NOTE ALL CORRESPONDENCE WILL BE ACKNOWLEDGED.